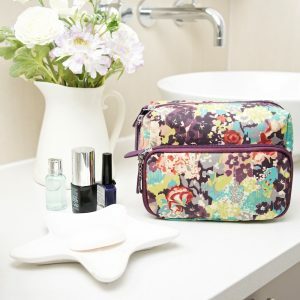 A coated cotton travel wash bag which is the perfect size for holidays, overnight stays or weekends away. 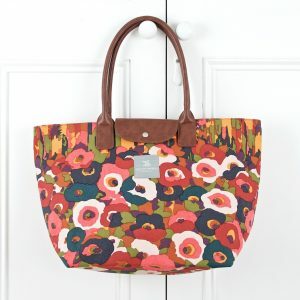 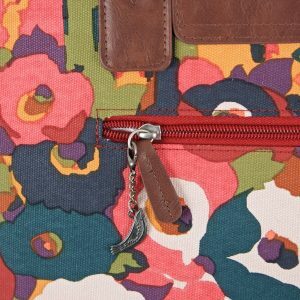 in Columbia Road Pinks, based on a gorgeous vintage design, with a soft pink wipe-clean lining. 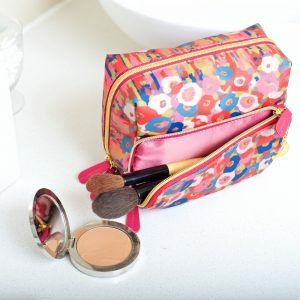 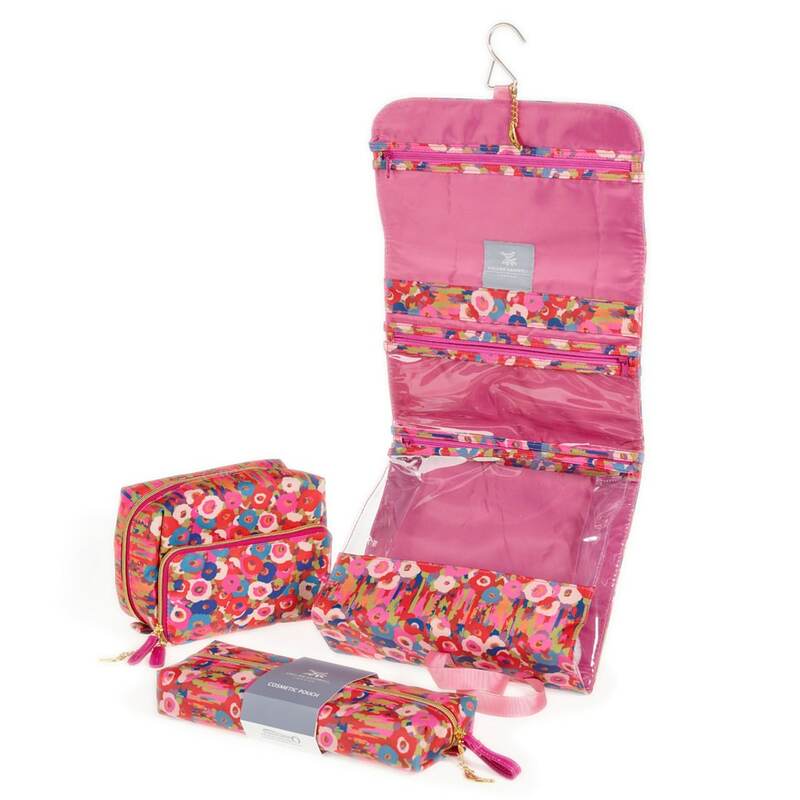 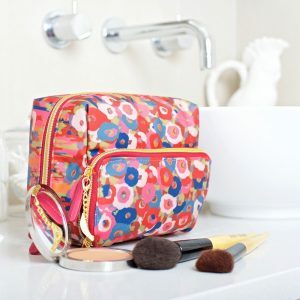 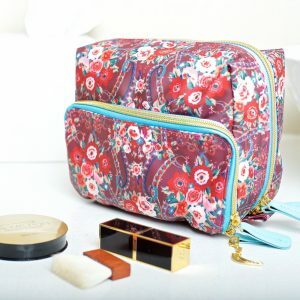 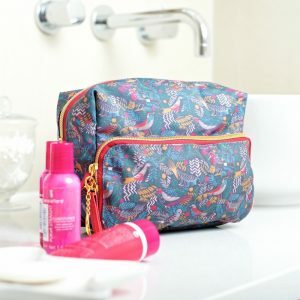 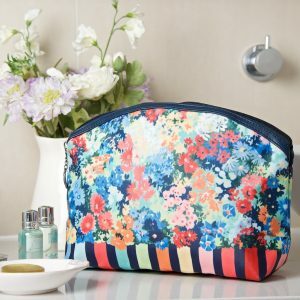 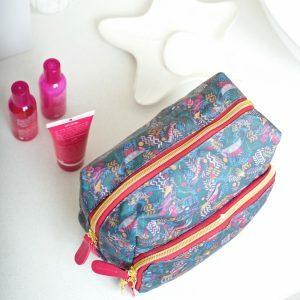 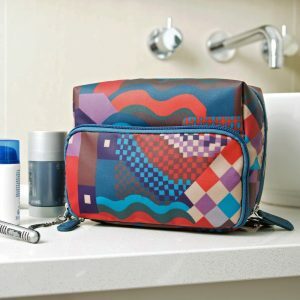 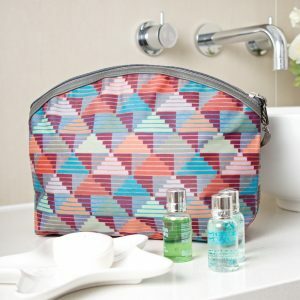 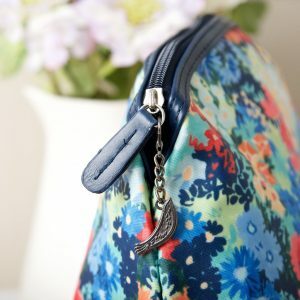 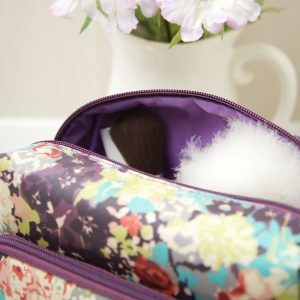 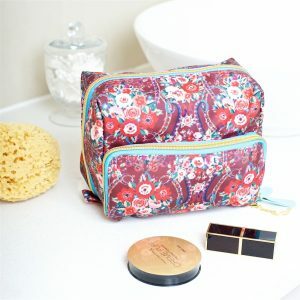 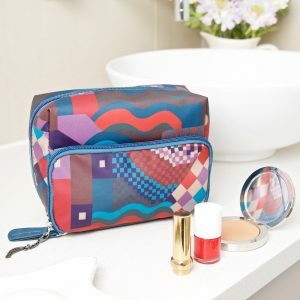 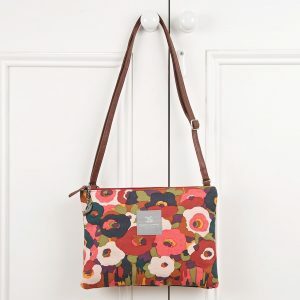 The wash bag has one large section with a smaller pocket inside to hold beauty products, shampoo, conditioner and suntans, and a smaller separate compartment on the side to keep make up or accessories organised. 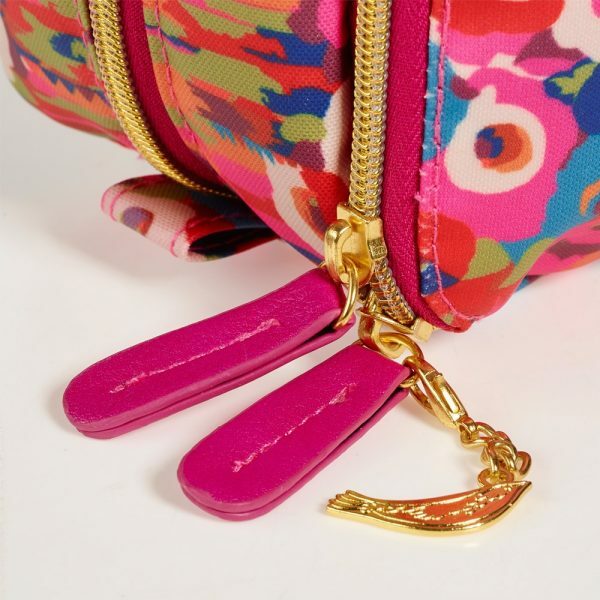 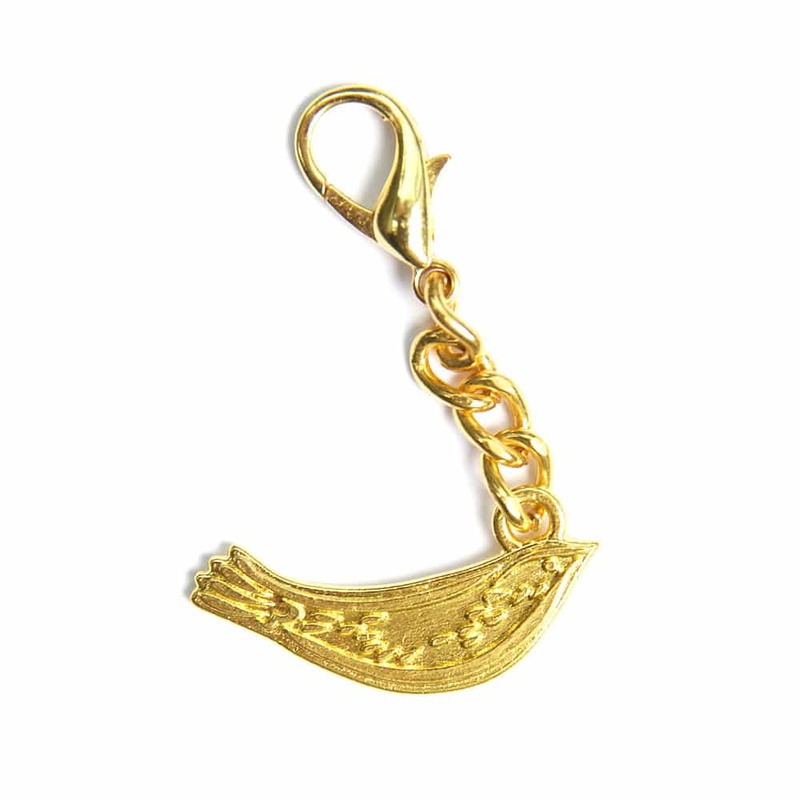 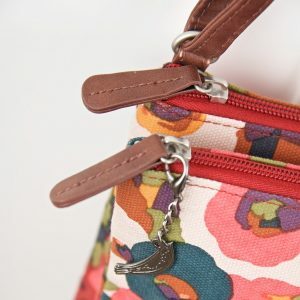 Both sections have gold tone zip closure with our signature bird pendant on the front. 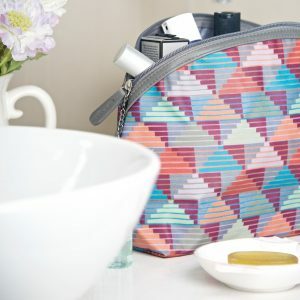 Makes a wonderful birthday or going away present for someone off on holiday, or a teenager on a gap year or going to uni, or for anyone you know who loves to travel.